University of Health Sciences officially announced test result of MDCAT test held on 29th October. In 2017 more than 48,000 candidates appeared in UHS MCAT test to get admission in Public sector medical colleges of Punjab. Only 61% candidates gets more than 60% marks in MDCAT test. To download MCAT/MDCAT test result of MBBS and BDS admissions CLICK Here. To get admission in public sector medical colleges of Punjab UHS also announced application process dates. 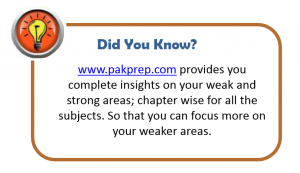 Pakprep.com provide complete material for the preparation of MCAT test. We have more than 15000+ MCQ’s with answers and explanation which helps students in getting good marks in MDCAT test. Click here to start your preparation today. Here is the details of how to apply for Public sector medical Colleges. This entry was posted in MDCAT, UHS MCAT and tagged Best way to prepare for UHS MCAT, Changes in UHS MCAT Syllabus, chemistry mdcat, Dental Entry Test UHS, download UHS MDCAT Papers, How to Prepare for Punjab MDCAT, How to Prepare for UHS MCAT?, how to prepare mdcat, How to prepare PUNJAB UHS Mcat, Important Biology Topics Punjab MDCAT, Important Chemistry Topics Punjab MDCAT, Important Chemistry Topics UHS MCAT, Important English Topics Punjab MDCAT, important mdcat topics, Important Physics Topics Punjab MDCAT, MCAT, MCAT English syllabus, mcat format, mcat mcqs, MCAT Merit list, MCAT New Syllabus, mcat result, mcat score, MCAT test, MDCAT, MDCAT 2017, MDCAT Biology, MDCAT Biology explained MCQs, MDCAT Biology MCQs, MDCAT Chemistry, MDCAT Chemistry explained MCQs, MDCAT Chemistry MCQs, MDCAT English explained MCQs, MDCAT English syllabus, MDCAT entry test, MDCAT explained MCQs, mdcat format, mdcat mcqs, MDCAT Merit list, MDCAT New Syllabus, MDCAT online MCQS, New Physics Syllabus for UHS MCAT, New UHS MCAT Syllabus, Past Papers UHS MDCAT, Preparation of Document for UHS MCAT, Punjab MCAT 2017 Syllabus, punjab mcat mcqs, punjab mcat merit list, Punjab MCAT Past Papers, Punjab Mcat result, PUNJAB MCAT Score, Punjab MCAT Syllabus 2017, Punjab MDCAT Biology MCQs, Punjab MDCAT Chemistry MCQs, Punjab MDCAT English MCQs, Punjab Medical Admission UHS, Punjab UHS MCAT, Punjab UHS MCAT Syllabus, Punjab UHS Medical Test, Sample UHS MCAT MCQs, Solved UHS MCAT past papers, UHS, UHS Admission, UHS Admissions, UHS Biology MCQs, UHS Chemistry MCQs, UHS Chemistry New Syllabus, UHS English MCQs, UHS English Syllabus 2017, UHS Entry Test, UHS MCAT, UHS MCAT 2017, UHS MCAT Aggregate Score, UHS MCAT Biology MCQs, UHS MCAT Chemistry MCQs, UHS MCAT Dates, UHS MCAT Documents, UHS mcat merit list, UHS MCAT Online MCQs, UHS MCAT Past Papers, UHS MCAT result, UHS MCQs, UHS MDCAT, UHS MDCAT 2017, UHS MDCAT Aggregate Score, UHS MDCAT Biology MCQs, UHS MDCAT Dates, UHS MDCAT English MCQs, UHS MDCAT Entrance Test, UHS Medical Admission, uhs merit list, UHS Physics MCQs, UHS Solved Papers, UHS Test format, UHS test result on November 10, 2017 by Pakprep.com Admin. Medical college admission test commonly known as MCAT, which is conducted in Punjab for admission in Public Sector medical colleges of Punjab. University of Health and Sciences (UHS) conduct this test for MBBS & BDS admission in Public Sector medical colleges of Punjab. Every year more than 50000 students try their luck by taking this test but few of them succeed. UHS arrange this test for students once in a year all over the Punjab. MCAT test is very difficult and you need a lot of preparation in order to pass it. Their test consist of MCQ’s from Chemistry, Physics, Biology and English. MCAT test is consist of concept based questions. Every student’s admission is based on MCAT test results and FSC marks. In MCAT test there is a negative marking. There are 5 marks for every correct answer and -1 for every wrong answer. This entry was posted in Punjab UHS MCAT, UHS MCAT and tagged BDS, BDS Admissions, bds merit list, BDS test, Best way to prepare for UHS MCAT, Changes in UHS MCAT Syllabus, Dental Entry Test UHS, download UHS MCAT Papers, Download UHS Past Papers, How to Prepare for UHS MCAT?, How to prepare Punjab Mcat UHS, How to prepare PUNJAB UHS Mcat, Important Chemistry Topics Punjab MCAT, Important Chemistry Topics UHS MCAT, Important Punjab Mcat topics, mbbs, MBBS 2016, MBBS 2017, MBBS admission, MBBS admission 2017, MBBS Admission Test, MBBS Admission Test 2016, MBBS Admission Test 2017, mbbs merit list, MBBS Seats in Punjab, MCAT entry test, MCAT test, New Physics Syllabus for UHS MCAT, New UHS MCAT Syllabus, Past Papers UHS MCAT, Preparation of Document for UHS MCAT, punjab, Punjab Board MCQs, Punjab MCAT Chemistry MCQs, Punjab Mcat format, punjab medical, punjab medical admission, Punjab Medical Admission UHS, Punjab Medical Entry Test, Punjab UHS MCAT, Punjab UHS MCAT Syllabus, Punjab UHS Medical Test, Sample UHS MCAT MCQs, solved UHS MCAT MCQs, Solved UHS MCAT past papers, UHS, UHS Admission, UHS Admissions, UHS Biology MCQs, UHS Chemistry MCQs, UHS Chemistry New Syllabus, UHS Chemistry Syllabus, UHS English MCQs, UHS Entry Test, UHS Fee, UHS MCAT, UHS MCAT 2015, UHS MCAT 2016, UHS MCAT 2017, UHS MCAT Aggregate Score, UHS MCAT Biology MCQs, UHS MCAT Chemistry MCQs, UHS MCAT Dates, UHS MCAT Documents, UHS MCAT Entrance Test, UHS MCAT MCQs, UHS mcat merit list, UHS MCAT Online MCQs, UHS MCAT Online Preparation, UHS MCAT Preparation, UHS MCAT result, UHS MCAT Syllabus, UHS MCAT syllabus 2017, UHS MCQs, UHS Medical Admission, UHS Medical Entry Test, uhs merit list, UHS Merit list 2016, UHS Past Papers, UHS Physics MCQs, UHS Punjab MCAT Syllabus, UHS Punjab MCAT Syllabus 2017, UHS result, UHS result 2016, UHS Scholarships, UHS Solved MCQs, UHS Solved Papers, UHS Syllabus, UHS Test format, UHS test result on May 15, 2017 by Pakprep.com Admin. MCAT stands for Medical College Entrance Test, which is conduct by UHS for all Public sector Medical Colleges of Punjab once in a year. This test is mandatory for all those who want to take admission in public sector medical colleges of Punjab. This test is conducted by University of Health Sciences in Punjab. Every year thousands of students apply for this test but due to limitation of seats only few among them can get admission. MCAT test consists 220 MCQ’s including 88 Biology, 58 chemistry, 44 Physics and 30 English MCQ’s. It is a very tough test to pass, you have to work very hard for it. 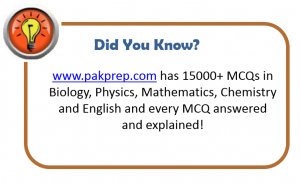 And for good preparation you can visit Pakprep.com where we have more than 15,000+ MCQ’s solved with explanation and also MOCK test for MCAT. To start your preparation for MCAT Click here. Here we are going to show you some of the sample questions for MCAT test preparation with explanation. This entry was posted in Punjab UHS MCAT, UHS MCAT and tagged Best way to prepare for UHS MCAT, chemistry mcat, Dental Entry Test UHS, download UHS MCAT Papers, How many MCQs in Sindh MCAT, How to Prepare for Punjab MCAT, How to Prepare for UHS MCAT?, how to prepare mcat, How to prepare Punjab Mcat UHS, How to prepare PUNJAB UHS Mcat, Important Chemistry Topics Punjab MCAT, Important Chemistry Topics UHS MCAT, important mcat topics, Important Punjab Mcat topics, MCAT, MCAT entry test, MCAT Entry Test 2015, mcat format, mcat mcqs, MCAT Merit list, MCAT New Syllabus, mcat result, mcat score, MCAT Syllabus, MCAT Syllabus 2017, MCAT test, Past Papers UHS MCAT, Preparation of Document for UHS MCAT, punjab, punjab mcat, Punjab MCAT 2015, Punjab MCAT 2015 Online Preparation, Punjab MCAT 2016, Punjab MCAT 2017 Syllabus, Punjab MCAT Biology MCQs, Punjab MCAT English MCQs, Punjab Mcat format, punjab mcat mcqs, punjab mcat merit list, Punjab MCAT New Syllabus, Punjab MCAT Past Papers, Punjab MCAT Physics MCQs, Punjab Mcat result, Punjab MCAT Scholarships, PUNJAB MCAT Score, Punjab MCAT Solved Papers, Punjab MCAT Syllabus 2017, Punjab Medical Admission UHS, Punjab UHS MCAT, Punjab UHS MCAT Syllabus, Punjab UHS Medical Test, Sample UHS MCAT MCQs, UHS, UHS Admission, UHS Admissions, UHS Biology MCQs, UHS Chemistry MCQs, UHS Chemistry New Syllabus, UHS Chemistry Syllabus, UHS Entry Test, UHS Fee, UHS MCAT, UHS MCAT 2013, UHS MCAT 2016, UHS MCAT 2017, UHS MCAT Aggregate Score, UHS MCAT Biology MCQs, UHS MCAT Chemistry MCQs, UHS MCAT Dates, UHS MCAT Documents, UHS MCAT English MCQs, UHS MCAT Entrance Test, UHS MCAT MCQs, UHS MCAT Past Papers, UHS MCAT Preparation, UHS MCAT result, UHS MCAT Syllabus, UHS MCAT syllabus 2017, UHS MCQs, UHS Medical Admission, UHS Medical Entry Test, uhs merit list, UHS Merit list 2016, UHS Physics MCQs, UHS Punjab MCAT Syllabus 2017, UHS result, UHS result 2016, UHS Scholarships, UHS Solved MCQs, UHS Solved Papers, UHS Syllabus, UHS Test format, UHS test result on May 11, 2017 by Pakprep.com Admin. 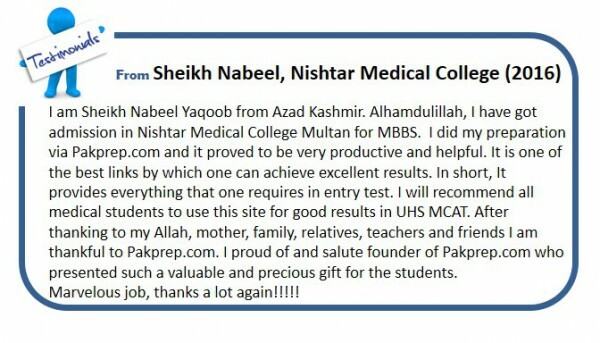 This entry was posted in Punjab UHS MCAT, UHS MCAT and tagged Best way to prepare for UHS MCAT, chemistry mcat, Dental Entry Test UHS, download UHS MCAT Papers, Download UHS Past Papers, How to Prepare for Punjab MCAT, How to Prepare for UHS MCAT?, How to prepare Punjab Mcat UHS, How to prepare PUNJAB UHS Mcat, Important Chemistry Topics UHS MCAT, mbbs, MBBS 2016, MBBS 2017, MBBS admission, MBBS admission 2017, MBBS Admission Test, MBBS Admission Test 2016, MBBS Admission Test 2017, MBBS in Pakistan, mbbs merit list, MBBS Seats in Punjab, MCAT, MCAT entry test, MCAT Entry Test 2015, mcat format, mcat mcqs, MCAT New Syllabus, mcat score, MCAT Syllabus, MCAT Syllabus 2017, MCAT test, Past Papers UHS MCAT, Preparation of Document for UHS MCAT, punjab mcat, Punjab MCAT 2017 Syllabus, Punjab MCAT Biology MCQs, Punjab MCAT Chemistry MCQs, Punjab MCAT English MCQs, Punjab Mcat format, Punjab MCAT New Syllabus, Punjab MCAT Past Papers, Punjab Medical Admission UHS, Punjab UHS MCAT, Punjab UHS MCAT Syllabus, Punjab UHS Medical Test, punjabmcat, Sample UHS MCAT MCQs, solved UHS MCAT MCQs, Solved UHS MCAT past papers, UHS, UHS Admission, UHS Admissions, UHS Biology MCQs, UHS Chemistry MCQs, UHS Chemistry New Syllabus, UHS Chemistry Syllabus, UHS English MCQs, UHS Entry Test, UHS Entry Test 2015, UHS Fee, UHS MCAT, UHS MCAT 2014, UHS MCAT 2015, UHS MCAT 2016, UHS MCAT 2017, UHS MCAT Aggregate Score, UHS MCAT Biology MCQs, UHS MCAT Chemistry MCQs, UHS MCAT Dates, UHS MCAT Documents, UHS MCAT English MCQs, UHS MCAT MCQs, UHS mcat merit list, UHS MCAT Online MCQs, UHS MCAT Online Preparation, UHS MCAT Past Papers, UHS MCAT Preparation, UHS MCAT result, UHS MCAT Syllabus, UHS MCAT syllabus 2017, UHS MCQs, UHS Medical Admission, UHS Medical Entry Test, uhs merit list, UHS Merit list 2016, UHS Past Papers, UHS Physics MCQs, UHS Punjab MCAT Syllabus, UHS Punjab MCAT Syllabus 2017, UHS result, UHS result 2016, UHS Scholarships, UHS Solved MCQs, UHS Solved Papers, UHS Syllabus, UHS Test format, UHS test result on May 8, 2017 by Pakprep.com Admin. 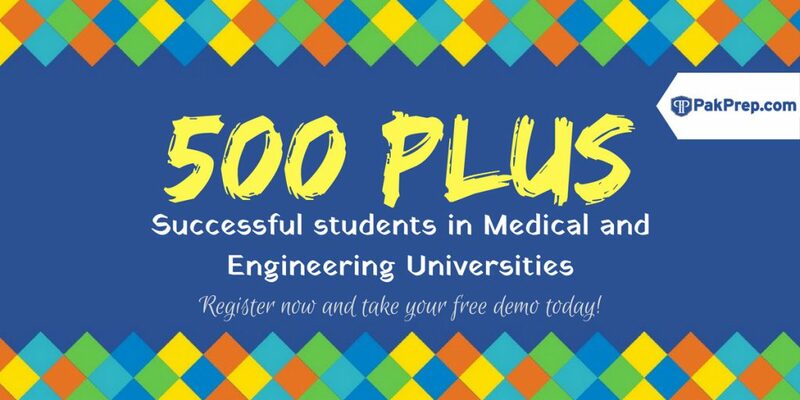 This entry was posted in UHS MCAT and tagged BDS, BDS Admissions, bds merit list, BDS test, Best way to prepare for UHS MCAT, chemistry mcat, Dental Entry Test UHS, download UHS MCAT Papers, Download UHS Past Papers, How to join PAF after BDS, How to Prepare for Punjab MCAT, How to Prepare for UHS MCAT?, How to prepare Punjab Mcat UHS, How to prepare PUNJAB UHS Mcat, Important Chemistry Topics Punjab MCAT, Important Chemistry Topics UHS MCAT, important mcat topics, Important Punjab Mcat topics, mbbs, MBBS 2016, MBBS 2017, MBBS admission, MBBS admission 2016, MBBS admission 2017, MBBS Admission Test, MBBS Admission Test 2016, MBBS Admission Test 2017, MBBS in Pakistan, mbbs merit list, MBBS Merit list 2016, MBBS Seats in Punjab, MCAT, MCAT entry test, MCAT Entry Test 2015, mcat format, mcat mcqs, MCAT Merit list, MCAT Syllabus, MCAT Syllabus 2017, MCAT test, Past Papers UHS MCAT, Preparation of Document for UHS MCAT, punjab mcat, Punjab MCAT 2015 Online Preparation, Punjab MCAT Biology MCQs, Punjab MCAT Chemistry MCQs, Punjab MCAT English MCQs, punjab mcat mcqs, punjab mcat merit list, Punjab MCAT New Syllabus, Punjab MCAT Past Papers, Punjab Mcat result, PUNJAB MCAT Score, Punjab MCAT Solved Papers, Punjab MCAT Syllabus 2017, punjab medical, punjab medical admission, Punjab Medical Admission UHS, Punjab Medical Entry Test, Punjab UHS MCAT, Punjab UHS MCAT Syllabus, Punjab UHS Medical Test, Sample UHS MCAT MCQs, Solved Punjab MCAT MCQs, Solved Punjab MCAT Past Papers, solved UHS MCAT MCQs, Solved UHS MCAT past papers, UHS, UHS Admission, UHS Admissions, UHS Biology MCQs, UHS Chemistry MCQs, UHS Chemistry New Syllabus, UHS Chemistry Syllabus, UHS English MCQs, UHS Entry Test, UHS Entry Test 2015, UHS Fee, UHS MCAT, UHS MCAT 2013, UHS MCAT 2014, UHS MCAT 2015, UHS MCAT 2016, UHS MCAT 2017, UHS MCAT Aggregate Score, UHS MCAT Biology MCQs, UHS MCAT Chemistry MCQs, UHS MCAT Dates, UHS MCAT Documents, UHS MCAT English MCQs, UHS MCAT Entrance Test, UHS MCAT MCQs, UHS mcat merit list, UHS MCAT Online MCQs, UHS MCAT Online Preparation, UHS MCAT Past Papers, UHS MCAT Preparation, UHS MCAT result, UHS MCAT Syllabus, UHS MCAT syllabus 2017, UHS MCQs, UHS Medical Admission, UHS Medical Entry Test, uhs merit list, UHS Merit list 2016, UHS Past Papers, UHS Physics MCQs, UHS Punjab MCAT Syllabus, UHS Punjab MCAT Syllabus 2017, UHS result, UHS result 2016, UHS Scholarships, UHS Solved MCQs, UHS Solved Papers, UHS Syllabus, UHS test result on April 25, 2017 by Pakprep.com Admin.